A host of fascinating production techniques dictates the shape of twenty-first-century plastic products. 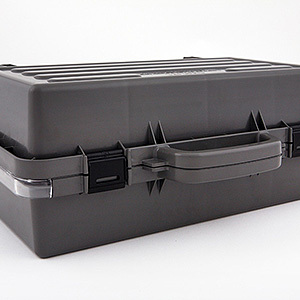 Distributed across a wide spectrum of manufacturing techniques, the implementation of a polymer-fashioned design has access to machining resources, die cutting facilities, and mould casting equipment. These are bleeding-edge processing procedures, form-creating methods that are capable of producing any shape from any plastic, but what differentiates one from the next? Workshop tools begin with a basic workbench and a hand tool, but that course of action quickly evolves to encapsulate intricate solutions. Products are created in three-dimensional space when this latter method is employed. The plastic part is sculpted and procedurally shaped by computer. Once the design is approved, it’s passed via CNC (computer Numerical Coding) to a lathe or high-accuracy 5-axis router and milled until every surface feature, hole, and contour is rendered according to the software-determined design. This manufacturing methodology works particularly well when thin sections of plastic require intricate outlines. A custom-shaped die or cutting rule is pressed down atop a thin-gauge blank. The blank is cut by the die. It assumes this shape, but other features are also available. Simple extrusions and indents are made possible by the cutting assembly and its flatbed or rotary anvil. Very accurate plastic cutouts are created, in this manner, as are gaskets and plastic shims. Geometrically complex three-dimensional plastic objects are manufactured with repeatable ease when mould injection technology is employed. The current state of affairs uses a liquefied polymer, a plastic that is intelligently poured or otherwise forced into a cavity. This cavity is formed as a negative of the final product, so the plastic hardens and assumes its positive profile, at which point it’s ejected and the process begins again. Plastic injection moulding is a prime example of this manufacturing technique, with its pellet-filled hopper liquefying raw plastic until it pours into a long cylinder. A screw or ram mechanism then forces the molten mix forward until it fills the mould. Variations on a theme exist here, with vacuum methods and rotational assemblies also playing a role in the cycle, but the injection method rules due to an economical build that emphasizes high-volume productivity. This is a broad strokes description of several key plastics shaping methodologies. The fine details call upon other important technologies and process-relevant work stages. These include but are not limited to prototyping work, three-dimensional printing stations, and an assessment process that selects application-capable polymers.